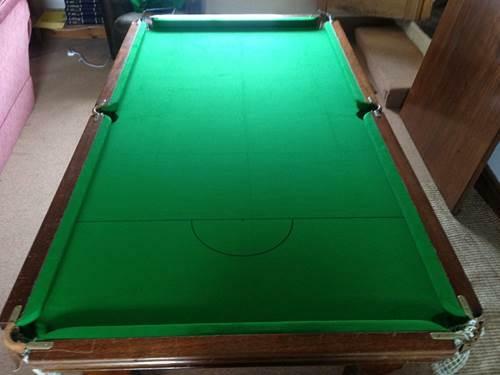 7 x 4 ft Snooker Table Recover for a Customer who wanted her able recovering urgently as it had a massive tear in the cloth. 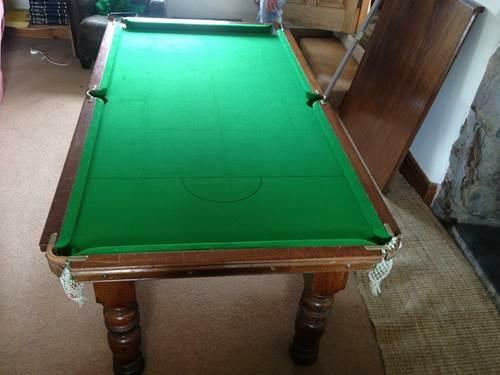 Unfortunately there was a problem with our camera and the before Photos did not come out well enough to visibly see the cloth. 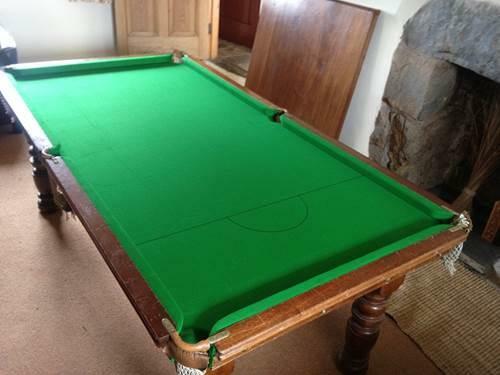 We recovered the Snooker Table in a West Of England 777 Green Woolen Cloth. She was happy with her brand new cloth.